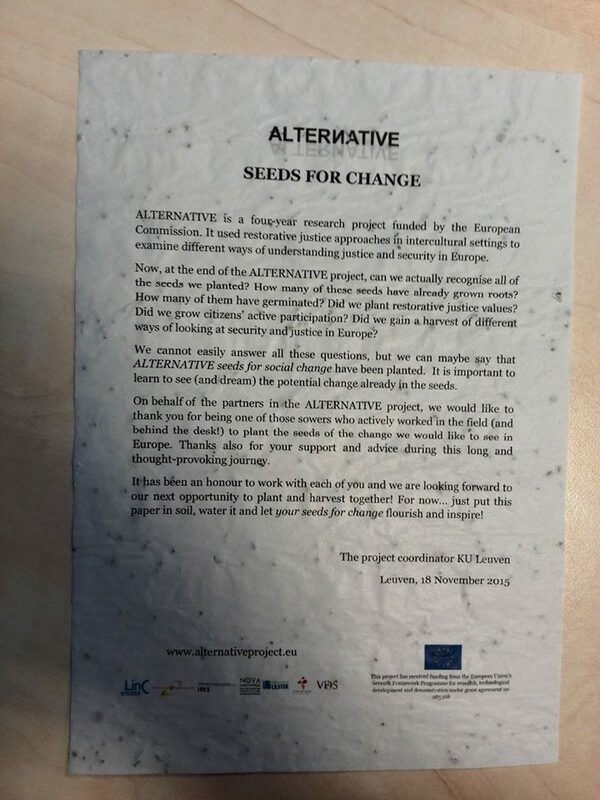 This letter was given to all partners in the ALTERNATIVE project at the final conference ‘Justice and Security in Intercultural Europe: Exploring Alternatives’ by the project coordinator, KU Leuven, to thank them for their active engagement and participation in being ‘seeds for change’ for an alternative future in Europe. 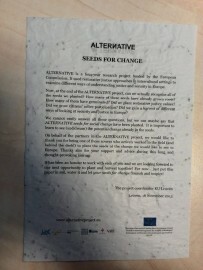 It was printed on a sheet of paper including flower seeds with the metaphorical hope that seeds for change will grow thanks to what ALTERNATIVE planted during these past four year project. In a digital form, we would like to send these seeds to all of you who followed this project and believe that alternative approaches, such as restorative justice, could be used for a better future in our intercultural Europe.